JPMorgan Chase & Co. announced its financial results for the first quarter on Friday. Its quarterly profit climbed 35 percent, while revenue surged 12 percent. Overall, the New York-based company posted earnings of $8.71 billion, or $2.37 per share, significantly higher than $6.45 billion, or $1.65 per share in the comparable quarter last year, and above analysts’ average estimate of $2.28 per share. Revenue for the quarter came in at 27.91 billion. JPM shares closed lower in the last trading session despite reporting strong quarterly results. The biggest U.S. bank by assets said that its trading revenue rose 13 percent to $6.57 billion, versus $5.82 billion in the year-ago quarter. Its stock-trading revenue surged 26 percent to $2.02 billion, while fixed-income trading revenue advanced 8 percent to $4.55 billion. The bank’s return on equity (ROE) increased 15 percent in the first quarter, as compared to 11 percent in the same period last year. ROE is a closely observed measure of profitability. JPMorgan’s quarterly profit growth was mainly driven by strong economy and a lower tax bill because of policy changes in 2017. The bank paid an effective income-tax rate of 18.3 percent in Q1, significantly lower than 48.7 percent in Q4 of 2017, and 22.7 percent in Q1 last year. The bank’s net interest income advanced 10 percent to $13.3 billion, and its loan book expanded by 4 percent to $934 billion. 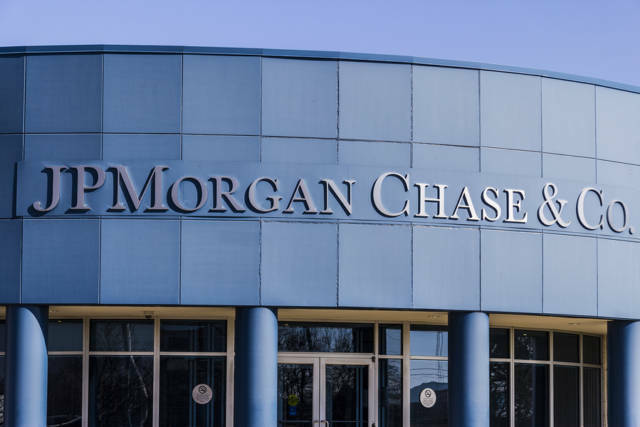 Investors are closely watching increasing interest rates, as a surge in rates can help big consumer lenders including JPMorgan to generate more profit. JPMorgan kept back $1.17 billion in the first quarter to make up for potential bad loans. Comparatively, it set aside $1.31 billion in the fourth quarter and $1.32 billion in the first quarter of 2017 for covering loans that could potentially turn bad.